At the ICMAB we organize a series of events, also joining the Spanish national initiative "11defebrero.org". As a research center, we want to participate, together with the international community, providing a platform to show cases of women who became scientists and suceeded, encouraging scientific vocations by explaining stories of women scientists to secondary school students, and raising awareness among our staff. Some of the activities are listed below, or you can also download our program here. 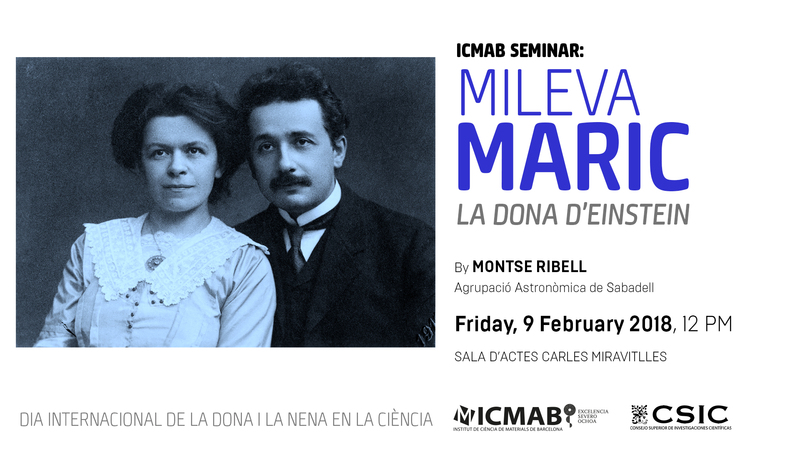 On 9 February we will be hosting Montse Ribell, from Agrupació Astronòmica Sabadell, who will give a seminar about Mileva Maric, a brilliant mathematician of the XIX century eclipsed by a man, Einstein. This event is open to the public. After the seminar, in orther to visualize the quantity of women scientists in our center, we will make a group photo outside the building. slideshow will appear on the screens of the building, and on the website very soon! This play, written and performed by a group of ICMAB women, aims at encouraging scientific vocations in young girls by showing them some personal stories of brilliant women who have made enormous contributions to science throughout history. The representation will be on 13 February at IES Quatre Cantons Poblenou (Barcelona). At ICMAB we would like to raise awareness about gender issues also among our staff. In the ICMAB hall we will hang some posters with some quizzes prepared by the Gender Committee about curious facts on women in science and gender issues. Try to answer them, it will be fun! Some questions will also be on our screens. 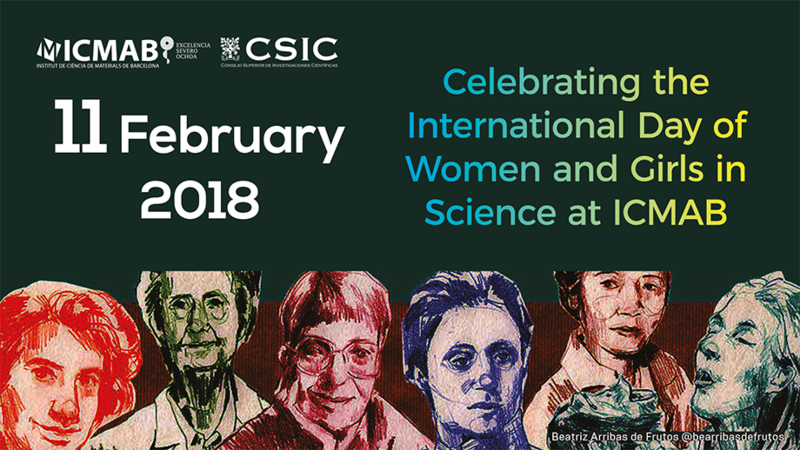 Anna May, Communication & Outreach Officer, and Mariona Coll, researcher at the Superconducting Materials Groups, participate on February 6 at a roundtable on "Women and Science: Breaking Stereotypes", at Ateneu Barcelonès (Barcelona). The event is organized by EspaiNANO, the Gender Committee of the Physics Department at UB, and the Nanoscience and Nanotechnology Festival "10 a la menos 9".